Looking for relaxation? 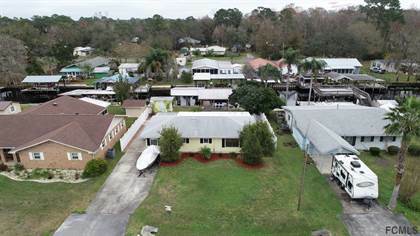 Come have your morning coffee or afternoon treats at your home that sits on a wide canal leading to Dunns Creek and the St. Johns River with a large backyard and 38x14.5 covered dock w/2 boats lifts, bulkhead in excellent condition. Peaceful. 2 master bedrooms suites w/new carpet, large open concept living area overlooking the back yard and canal. Kitchen has stainless appliances, and baths have been fully updated. Artisan well and septic. Water softener water filter system. 2 sheds, one natural light. Large laundry room and pantry, screened porch, as well as ample storage. Central heat & air, water heater, roof, well & water system all new since 2014. Extra insulation & storm windows results in very low electric bills. Paved road. Easy access to town and parks. PERFECT for full or part time living. Good opportunity for air bnb or rental. This home has everything one could want. Come see it today! Hi, I'd like to find out more information about 234 Belle Drive. Thanks so much!